Okay! Musume Time: The Gelato is no Secret, but their Royal Identity is! Houkago Princess Reveal their 4th Single Covers! The Gelato is no Secret, but their Royal Identity is! Houkago Princess Reveal their 4th Single Covers! *This is a quick update. If it feels rushed... yeah, it's kind of cause it is! Whoops! With their 4th single out on October 12th this year, Houkago Princess have finally revealed the covers for their up-coming release, Himitsu no Tiara to Gelato! The latest single in the groups fun Princess-themed lineup is one that is inspired by a movie, Roman Holiday, released in 1953 and starring Audrey Hepburn as Princess Ann, who runs away from the palace for a day to experience the true hustle and bustle of life in Rome, from trying gelato to cutting her hair in a fashionable bob. With so little time until the release date, will Houkago Princess win over fans of the original film with their homage? With this new release, Houkago Princess will debut a new generation of members. Nagasawa Marina, the sole 5th generation member, Sekine Sasara and Kojima Mayumi, 7th generation members, will make their first appearance (second, for Marina) as well as their own major debut with Himitsu no Tiara to Gelato. It is also the first single to feature costumes in each girls' member colours since the groups inception. Though the music video has yet to be released, information regarding the song has said that it tells the story of a painful love within the space of a 24 hour time limit, and that the members of Houkago Princess will bring colour to a black and white world with their 'regular' costumes. In this story, the members undergo a 'reverse transformation', where instead of turning into princesses, they go from royalty to regular girls. Odagiri Nana and Maika are said to take the lead vocals once again, and though I am unsure about it, it seems that Sekine Sasara will be given sub-vocals, as she has performed as a lead regularly even in Cadet performances. Kizuki Saori will, once again, perform a solo piece with choreography, if what I am reading is correct from the sources I have been looking at. It is also the date of Saori's birthday the single will be released on. Currently, information regarding the coupling song has yet to be released. And before I blather on any further, be sure to check out the covers below, and see if you like them or not! In terms of personal thoughts, I love that with the Regular and DVD covers, it's still bright and eye-catching thanks to the pops of colour in the members' skirts and on their neckerchiefs. My favourite of the two covers is the gelato themed one, though I do love the Regular cover, too, because the use of props is simple but cute. These covers work in favour of the black and white backdrop of the Spanish Steps, which have been super-imposed into the image, and really allow us to see the bright and energetic appeal of HouPri in a black and white world, whilst still keeping in theme with what the single is about. ... It kind of reminds me of the Wizard of Oz, in a way. A dull world they are overly used to, but once they step out of that world and into another, there are bright colours and the grass is greener on the other side. All that kind of stuff. ... And now I want a Wizard of Oz themed MV. Gosh darnit, HouPri! You hold such promise! Anyways... I like the first two covers the most, and whilst I do find the solo shots pretty, they're also... gray. And bland. I do understand why that is, of course; the members are stuck in a black and white world as princesses who have to stick to rules and follow a regime, much like Princess Ann in the movie, and when they break away from that world for a day, they see everything with fresh eyes, finding it bright and vibrant, like a world they have never seen before. Their costumes represent those restrictions and how they view their world... but I can't help find these shots a little meh. That said, Sahochi's is by far my favourite; she looks absolutely regal here, and she suits the hairstyle beautifully. Sasara also stands out in a positive way, but the rest of the members just fade in with the backdrop, and don't look overly appealing, though not totally horrible, either. Some suit this style less than others, or they just look boring and, as my friend Hannah pointed out, matronly. I'm going to say that Nana especially suffers from this. She looks rather bland, and doesn't fit the style that well. Personally, I would have liked to have seen a 'Princess' version of the Limited DVD or Regular edition cover, as opposed to the solo Princess covers. It would have been good to see the casual dress and gelato shots on the individual covers, more than anything, and I think it would have looked a lot more appealing, and definitely a lot more cheerful. But, that's just my opinion. Are there any covers you like? Is there anything you dislike about them, at all? And if you were to buy a copy, which would be your first pick? Let's talk HouPri, everyone! 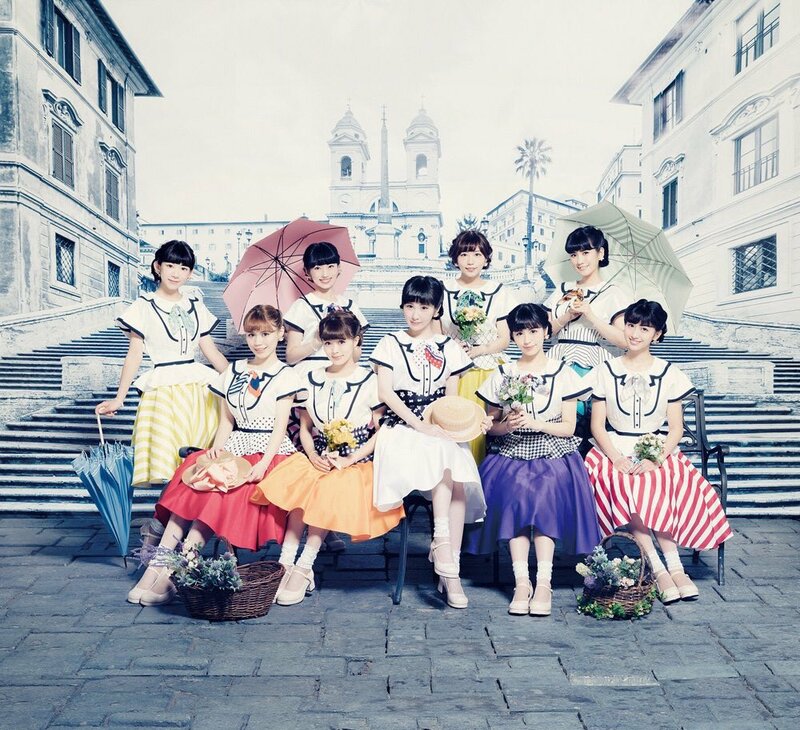 Houkago Princesses 4th single, Himitsu no Tiara to Gelato drops on October 12th 2016. Currently, the group is holding release events for the single, and will soon celebrate the coronation of Nagasawa Marina, Sekine Sasara and Kojima Mayumi on September 22nd.